My friend posted this quiz on Facebook today, and of course, I couldn't resist taking it. There's only a few questions so it's really fast and fun. Check it out by clicking on the photo above. 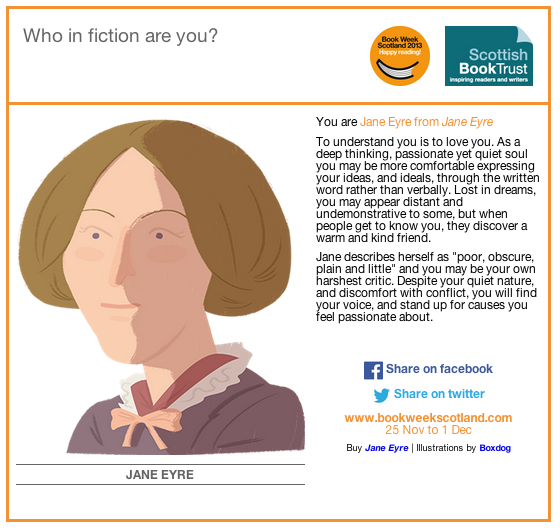 I got Jane Eyre... who would you be?